This question naturally comes to mind when one visits a current exhibition at Manhattan’s Metropolitan Museum. There, the Costume Institute has devoted a large space on the main floor to Elsa Schiaparelli (1890-1973) and Miuccia Prada (1949-). The subtitle of the show, Impossible Conversations, underscores a unique feature of the exhibit: from start to finish, visitors hear and see the words of the two famous female designers engaged in an imaginary conversation across the table from each other. Schiaparelli’s ideas originated in her autobiography, Shocking Life, and her part is played by contemporary actress Judy Davis; Prada, of course, speaks for herself. The exhibit underscores the philosophical similarities between the two Italian women in seven themed galleries: "Waist Up/Waist Down," "Ugly Chic," "Hard Chic," "Naïf Chic," "The Classical Body," "The Exotic Body," and "The Surreal Body." 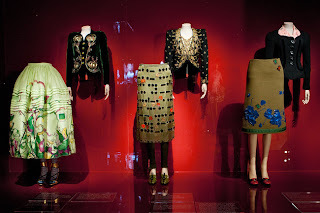 Co-curator Andrew Bolton has noted that Schiaparelli and Prada used “fashion as a vehicle to provoke, to confront normative conventions of taste, beauty, glamour, and femininity.” Schiaparelli’s designs were considered surrealist at the time and Prada's are said to be post-modern. 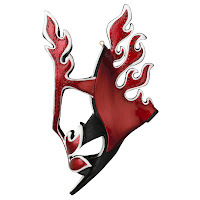 There certainly are plenty of examples of provocative, non-traditional styles on the part of both designers. 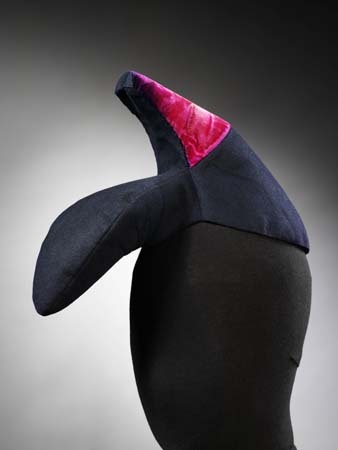 However, in my humble opinion, some designs by Schiaparelli (pronounced Skee-ah-pah-rell-ee) are more conventionally beautiful. Sure, one finds, here or there, outrageous creations like the Shoe Hat and the comical Lobster Dress Schiaparelli designed in collaboration with Salvador Dali and worn by Wallis Simpson, but there are also elegant jackets and dresses on display. 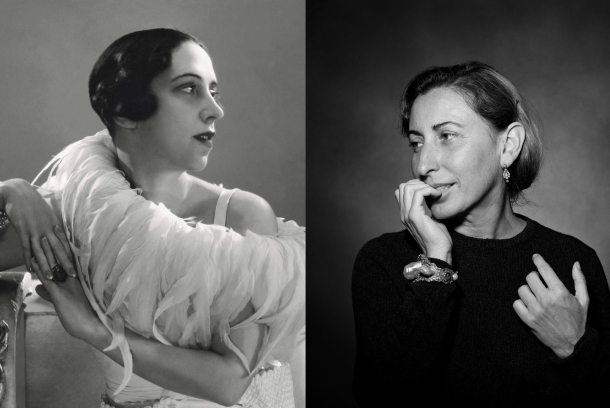 One gets the feeling that Schiaparelli’s clothing might have actually been purchased and worn by ordinary women. 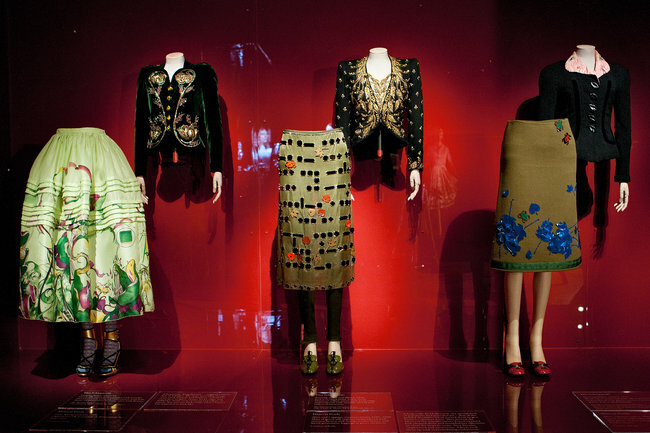 In the picture below, you'll find some Schiaparelli jackets paired with Prada skirts as seen at the exhibit. I don’t claim to understand fashion, but for me Prada’s designs weigh heavily on the “Ugly Chic” category. It’s true that some of her creations, such as the Flame Shoe, are artistically constructed; but tell me, can you really imagine them being worn on any occasion? Her color palate, too, seems to rely on brown; could there be a duller and less attractive color? Prada’s most successful season was apparently the year she brought out a series of animal prints. I must be missing something: I just can’t see wanting to wear clothing covered in monkeys and elephants. This type of apparel seems to be created merely for shock value. I must be way too practical when it comes to clothing. At any rate, if you're in New York City any time between now and August 19th, drop in to the Metropolitan Museum and catch the exhibit for yourself. And then please let me know if you think any of it is art or even clothing that women would wear. 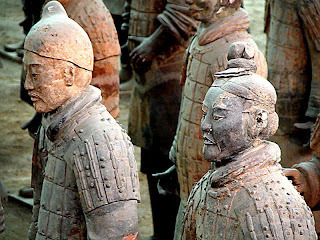 In March 1974 some Chinese farmers were digging a well and came upon an important discovery: a collection of ancient terracotta soldiers of varying height lined up in rows. The archeological dig which ensued uncovered nearly 8,000 sculptured chariots, horses, soldiers, and other citizens, all designed to guard the mausoleum of Qin Shi Huang. 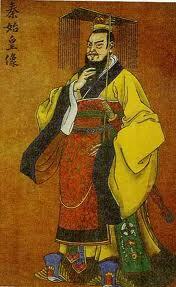 Qin [pronounced chin] was the self-proclaimed first emperor of China. The leader of 2,200 years ago, provoked by fear of death and desire for immortality, had devised an elaborate tomb protected by the earthen statuettes, which would also provide him with people to rule over in the afterlife. An astounding assortment of the artifacts and statues has been touring the world; I was fortunate enough to see it on a recent trip to the Discovery Museum on West 44th Street in Manhattan. Upon entering the exhibit, visitors see a short film about the finding of the funerary art. 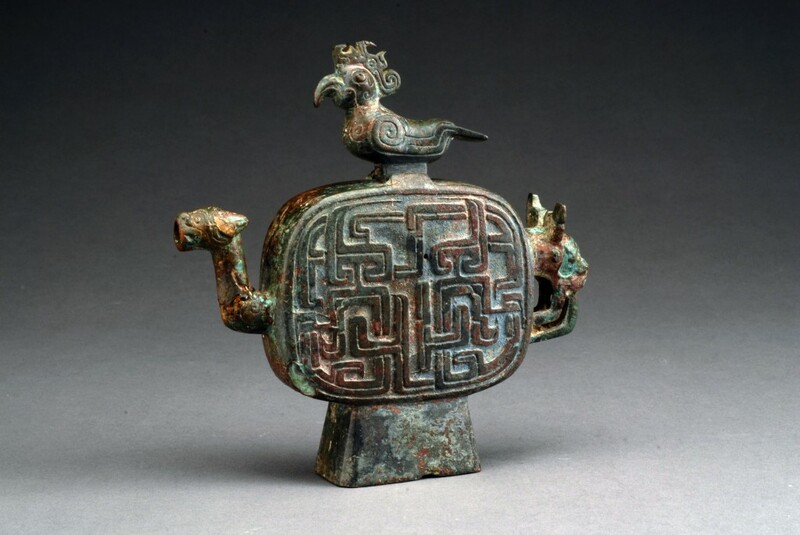 The succeeding rooms are filled with articles such as cooking pots and ceremonial vessels, decorative bronze wine casks, roof tiles, an impressive earthenware suit of armor, swords, and paraphernalia for horses. There is also a wooden replica of the emperor’s Xianyang Palace. The pièce de résistance of the exhibit is, of course, the warriors, which are of various shapes and sizes. 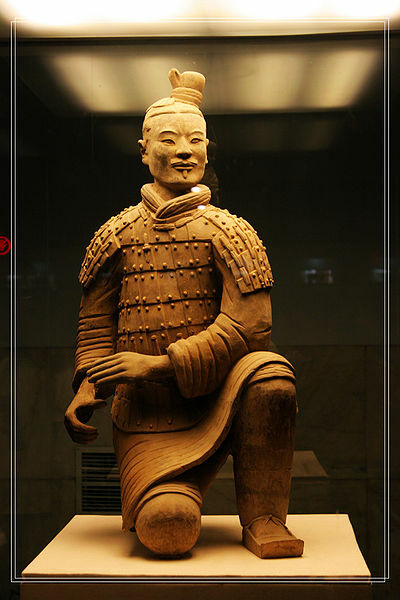 The six-foot tall soldiers each have unique faces and expressions—with or without mustaches, higher or lower topknots according to the rank from officers to cavalrymen. The hand shapes and body positions of the larger statues are distinct and make them uncannily realistic. There were all kinds of people represented in the emperor's terracotta army: a kneeling assistant, an archer, bureaucrats, musicians, acrobats and other types of entertainers. Each of the body parts of the larger sculptures was apparently created separately and then assembled and painted before being adorned with actual battle regalia and lined up in precise military formation. 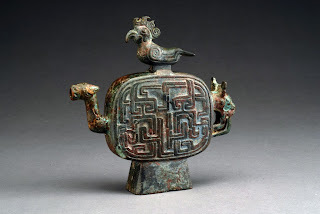 Amazing is the only word to describe seeing such ancient objets d’art. The logistics of transporting fragile pieces like these from faraway Asia staggers the imagination. The Chinese government was understandably quite hesitant at first to allow a large number of these precious articles to be shipped far and wide. But what a delight for Westerners to have the chance to view them! On a side note, if you get to see the collection and are able to charge your visit with American Express, the normally $7 fee for the audio self-tour is free. At any rate, don't miss an opportunity to visit this exhibit.